• Classic style and design offers male and female the excellent choice. 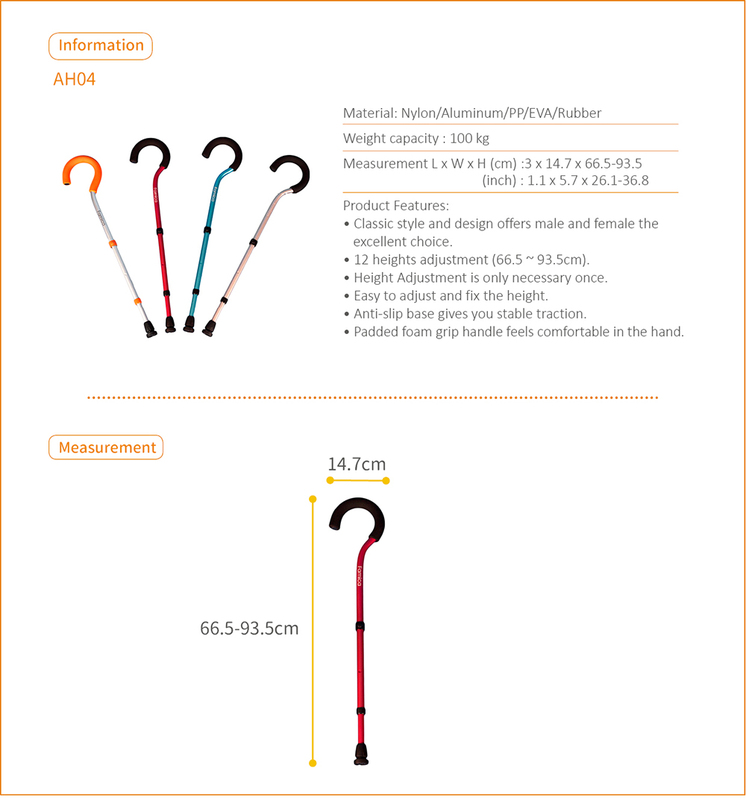 • 12 heights adjustment (66.5 ~ 93.5cm). • Height Adjustment is only necessary once. 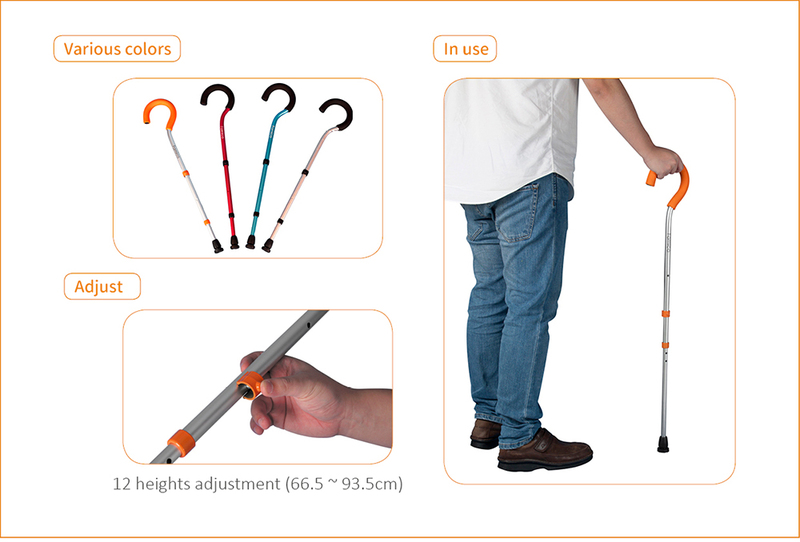 • Easy to adjust and fix the height. • Anti-slip base gives you stable traction. • Padded foam grip handle feels comfortable in the hand.